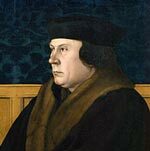 Thomas Cromwell (1485 – 1540) rose from obscurity to be the trusted right-hand man of King Henry VIII. Under Cromwell’s guidance, Henry broke with the Roman Catholic Church, setting up the Church of England. Cromwell pursued the dissolution of the monasteries and played a key role in the English Protestant Reformation. Known as a ‘fixer’, it was Cromwell who secured Henry’s annulment with his first wife, Catherine, so he could marry Anne Boleyn. But, after fixing Henry’s disastrous fourth marriage to Anne of Cleves, Henry turned on Cromwell and had him executed for treason. Cromwell was born around 1485 in Putney, London. His father Walter Cromwell was a brewer, blacksmith and tavern owner. He had a violent temper and was often in trouble with the authorities for petty misdemeanours. Aged 15, Cromwell, sick of being beaten by his father, ran away and stowed away on a ship to the continent. On the continent, Cromwell probably served as a hired soldier for the French army and ended up at the battle of Garigliano, near Naples. After the French rout, Cromwell wandered around Italy, penniless and adrift. However, in Florence, his fortune began to change. Cromwell was taken in by Francesco Frescobaldi, a wealthy banker, who saw the potential for the ambitious and talented young Cromwell. Cromwell educated himself in Latin, French and Italian and quickly learnt to be a merchant trader and lawyer With his self-education and self-confidence, Cromwell set up his own trading practice and travelled to Antwerp in the Netherlands. In, 1515, Cromwell returned to England where he married Elizabeth Wykes a widow from the landed gentry. This boosted both his social standing and financial position. Making a name for himself in England, he was approached by Geoffrey Chambers who needed help from the Pope Leo X to secure an indulgence for a project in Ipswich. Cromwell travelled to Rome and successfully secured the funding from the Pope – by offering sweatmeats he knew the Pope wanted. With a growing reputation for diplomacy and managing situations, from around 1516, Cromwell was taken into the service of Archbishop Cardinal Wolsey – the second most powerful man in the kingdom after Henry VIII. The two men develop a close relationship and Cromwell becomes a trusted adviser. Around 1528/29, Cromwell met with personal misfortune after his wife and two daughters died from the sweating sickness. His one son, Gregory survived. Cromwell also had an illegitimate daughter, Jane. In the late 1520s, Henry VIII was desperately unsatisfied with his marriage to Catherine of Aragon – he still had no male heir, and he had fallen in love with Anne Boleyn. Boleyn refused to be his mistress, and only consented to be his wife and Queen. Henry VIII demanded Wolsey seek an annulment of his first marriage with the Pope. But, the Pope refused and Wolsey fell out of favour. Henry removed Wolsey from position and forced him to live in exile. Despite the country turning against Wolsey, Cromwell remained loyal to the man who set him up in a position of influence. However, with Wolsey in disgrace, Cromwell saw an opportunity to curry favour with the king. In 1529, he had secured a seat in Parliament as member for Taunton, and in 1530 he was appointed to the kings Privy Council. Using his legal training, he suggested that Henry could break with Rome and declare his supremacy over the Church of England. Cromwell was partly motivated by personal ambition, but also, he was a religious reformer – associating with the Lollards who wished to reform the church, supported the Bible being printed in English, and were generally sympathetic to the Protestant Reformation. Cromwell’s suggestion was eagerly accepted by King Henry VIII who was desperate to marry Anne Boleyn. In 1532, the Commons passed a bill declaring Henry as “the only head, sovereign lord, protector and defender”. Sir Thomas More – loyal to the Catholic Church, resigned as Lord Chancellor and Cromwell’s faction rose in power. Cromwell was now the king’s most trusted adviser and was shaping the destiny of the English nation. Since the king’s treasury was nearly empty, after costly wars, Cromwell also promoted the idea of dissolving the wealth of the monasteries. The effect would be two-fold – diminish the power of the old church which retained leanings to Rome, and increase the wealth of the king. Henry agreed to Cromwell’s plan and, with great vigour, Cromwell’s men damaged and looted innumerable monasteries and religious houses in the country. Over 800 religious houses were dissolved in four years. The dissolution of the monasteries also led to widespread book-burning of anything that was considered ‘too Popish’ or ‘superstitious’. During this period, Oxford University lost most of its library collection. It is widely considered the greatest single disaster in English literary history. Cromwell also sought to reform more elements of traditional church services, having statues, relics and imaged removed or attacked. It made Cromwell one of the most powerful man in England, but also one of the most hated. This policy also led to friction with Anne Boleyn. Boleyn wanted the monasteries to be reformed not destroyed. She felt any proceeds should be used for charitable proceeds, rather than go to the king’s treasury. On a more positive note, Cromwell was influential in promoting the use of English Bibles. In the early years of Henry VIII’s regime it was a crime to own an English Bible, and the principal translator, William Tyndale, was executed in 1536. However, by 1540, Henry VIII was encouraging the use of English Bibles across the country. Despite engineering the marriage to Anne Boleyn, the marriage soured within a few years. Despite giving birth to the future Queen Elizabeth I, Henry was distraught that yet again he had been denied a male heir. He blamed Anne Boleyn and now fell in love with Jane Seymour. Henry turned to his ‘fixer’ Cromwell to deal with the problem. Despite being instrumental in Anne Boleyn’s rise, Cromwell was now responsible for her downfall. Cromwell had Anne and five men arrested. Using torture and threats – evidence of adultery and treason were fabricated. Anne Boleyn was found guilty and sentenced to death. Cromwell was now more powerful than ever. By 1536, he was raised to the peerage as Baron Cromwell of Wimbledon. Henry VIII and Jane Seymour were married a week later. 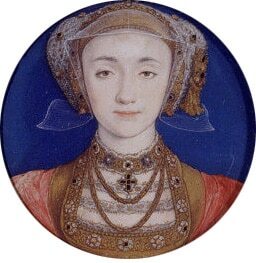 This third marriage produced the male heir that Henry desperately wanted, but Jane Seymour died in childbirth, leaving Henry distraught. made a misjudgement. Cromwell was concerned about England’s perilous political situation since it broke with Rome. Therefore, Cromwell sought to pursue an alliance with the reformist Royal families of Germany – this was a major factor in choosing and suggesting Anne of Cleeves. However, in Jan 1540, when Henry saw Anne of Cleeves in person he was horrified. Henry thought she looked ugly and felt deceived as her portrait was nothing like the reality. The marriage was never consummated, but to achieve a divorce, Henry VIII had to testify in court about his failure to sleep with his wife. Henry VIII felt humiliated and sought to blame Cromwell. During his years of quick ascendancy, Cromwell had created many enemies within the English ruling classes. They resented Cromwell’s commoner background. (Cromwell was the first commoner to receive such a rapid promotion). Cromwell was also hated by those who resented the dissolution of the monasteries and his attack on the old religious traditions. Also, as a ‘fixer’ he naturally made enemies from those who resented his rapid rise. Cromwell’s fall was more rapid than his meteoric fall. His enemies, scenting blood, lined up to speak ill of him to the king. Surrounded by a royal court who defamed Cromwell. Henry had Cromwell arrested for treason and locked up in the Tower. In the Tower, Cromwell wrote a letter to the king pleading for his life. However, it was no use, despite his own misgivings, Henry had Cromwell executed. Yet within weeks Henry was lamenting the loss of “the most faithful servant I ever had”. Citation: Pettinger, Tejvan. 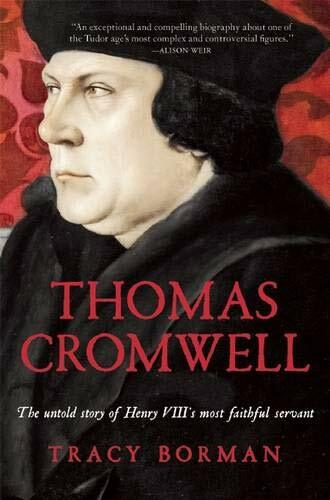 “Biography of Thomas Cromwell”, Oxford, UK – www.biographyonline.net. Published 18th January 2017. English – Famous English men and women. From Bouddica and Queen Elizabeth I to Henry VIII and Winston Churchill. Includes great poets – William Shakespeare, William Blake and William Wordsworth.